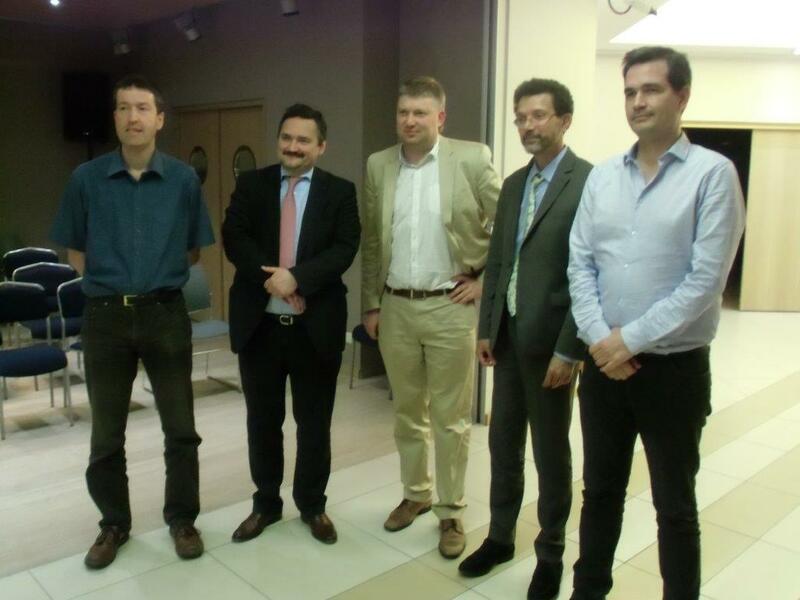 During the Latvian Presidency of the Council in the 1st half of 2015 Europchess was pleased to invite the country’s top player Alexei Shirov. Born in 1972 he became a grandmaster at the age of 17, which made him the 5th youngest GM of the world at the time. He sky-rocketed in his early 20ies and became the challenger of world champion Kasparov in 1998 after having beaten Kramnik in a famous match. However, the match never took place – Kasparov played Kramnik instead and lost in 2000. At that year, Shirov became FIDE vice world champion, playing a match with FIDE champion Anand in Teheran, peaking at the world’s No. 4 player in the FIDE rating list. He is also famous for his collection of best games (“Fire on the board I and II”). A Latvian national of Russian background, Shirov played for Latvia in the Olympiads of 1992 and 1994 and came back after 20 years. Since 2012 he is a regular member of the Latvian national again and invests a lot of his time and energy in promoting chess in the Baltic country. For the Latvian Representation in Brussels, the government spokesman Janis Berzins welcomed the famous guest in the premises of the representation. Berzins made an interesting comparison between chess and presiding the EU. 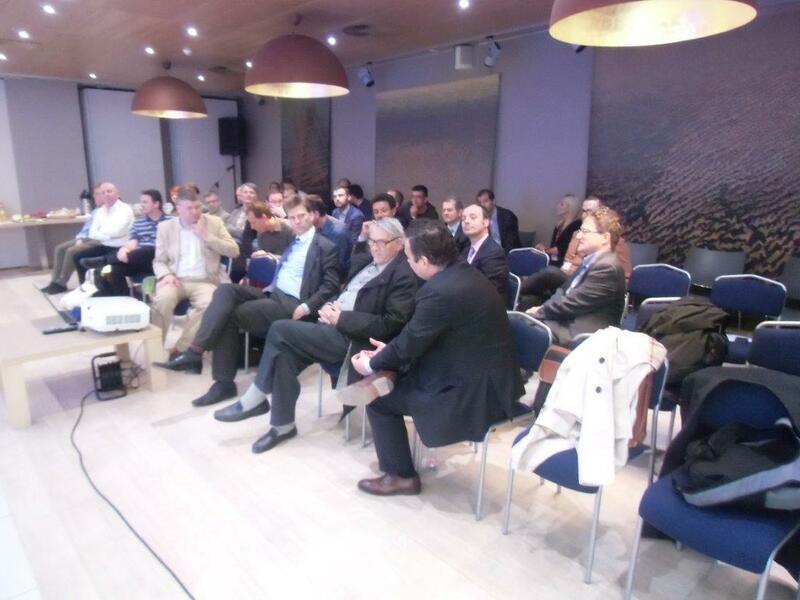 “There is much in common between a game of chess and the presidency of the EU council. Both are great games requiring a strategic approach, respect for the partner, logic and an impeccable command of the situation. Besides, what matters most in both cases is to know and observe rules”, he said. 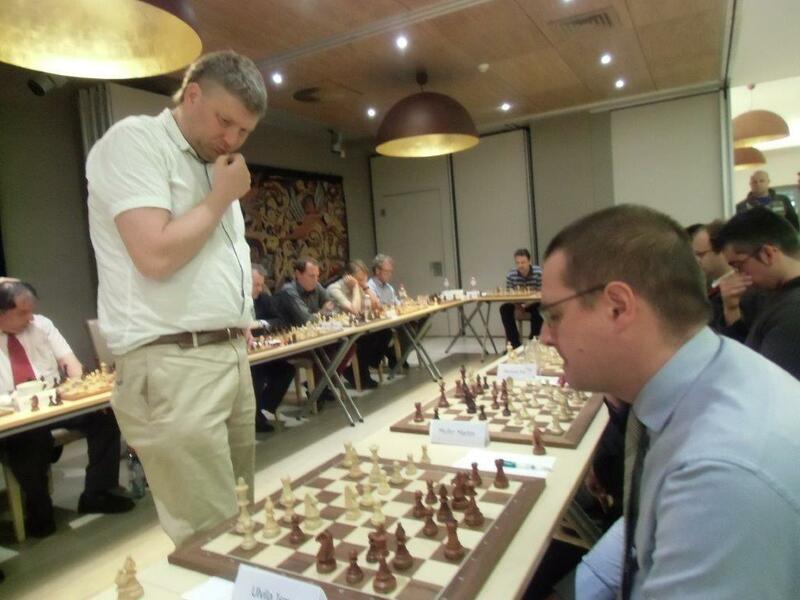 The President of Europcess, Frank Hoffmeister, stressed the great history of Latvia as a chess nation – from the first amateur world champion Mattision over the magician of Riga, world champion Tal, to today in the person of Alexei Shirov. 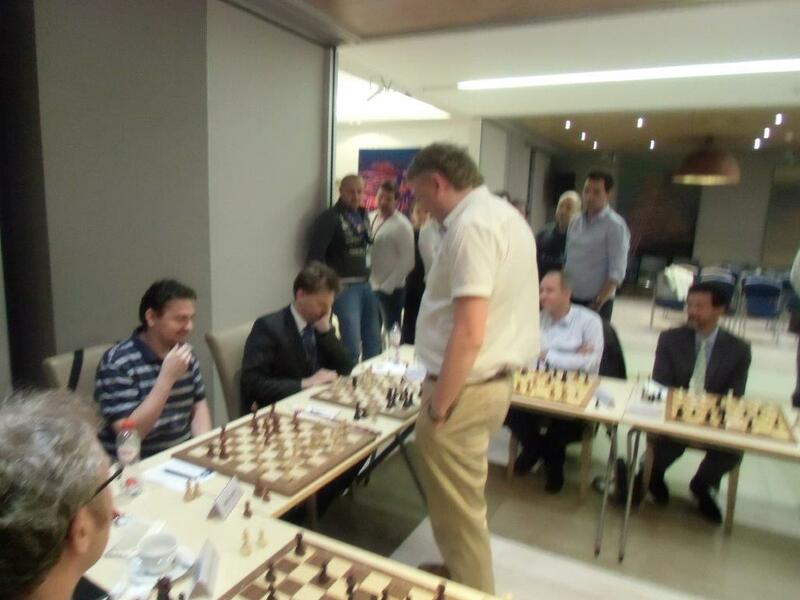 In his lecture, Shirov, demonsrated this tradition with two amazing games. First, he showed a fight between Tal and Spassky (Tilburg 1980). Tal played against Spassky’s pet defence against 1. e4, the Breyer variation in the Ruy Lopez. After some inaccurate loss of tempo at the queenside, White took the initiative by opening the f-file against Black’s king and directing his knights to the danger zone. At the right time, a knight sacrifice on f5 or h5 can then allow the heavy pieces to catch Black’s king with forcing moves. Interestingly, this game had not lost its actuality, as Shirov was able to employ the same pattern in a recent game in the Bundesliga. Shirov explained how he could use his knowledge to build up an attack, including an interesting rook switch over the 3rd rank from a3 to g3/h3. After the lecture, the GM replied to numerous questions about the development of chess in Europe. He felt that chess education is advancing in some countries with a track record on supporting the younger players, such as Spain or Bulgaria. But he also questioned the bureaucratic hurdles in some countries to become ‘chess trainer’, where apparently some pedagogical requirements are required. Asked about his view about the top players, Shirov saw Magnus Carlsen as the clear No. 1, who might be challenged by Caruana or Nakamura who are still progressing. Interestingly, he also did not exclude trying a come back some time, pointing to the fact that he just has beaten Kramnik in a team completion (but lost to Kamsky at the same event). After a short break with drinks and snacks offered by the Latvian representation, Shirov then faced 22 players selected from Europchess plus two Latvian players. He clearly was motivated to show his best chess. Taking his time for the moves, he entered into a great variety of challenges from our members. Amazingly, the Latvian star did not lose a single game, which none of the previous GM’s playing at a simultaneous exhibition against Europchess has ever succeeding in doing. Rather, he only conceded four draws, but won all the remaining 20 games. Below we publish the games that the players have sent in. Enjoy the fire on the board! The star himself could relax after this stunning performance at a nice dinner offered by club member Ismo Ulvila who had also prepared other practical aspects of the GM’s visit to Brussels (visit to the Commission and the European Parliament) in exemplary fashion.